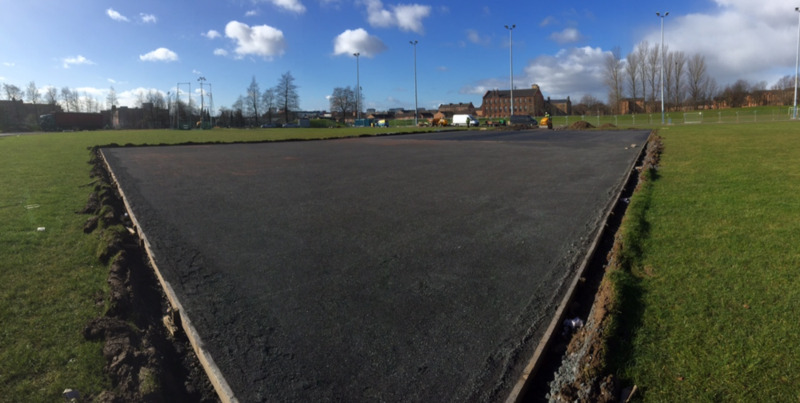 Sports Labs- Long Throws test bed - base ready for shock pad! Long Throws test bed - base ready for shock pad! Our long throws test bed is taking shape with the stone and macadam now complete! During the construction, the base was tested using a light weight defectometer see photo below to ensure that the compaction is consistent and meets minimum stiffness requirements set for the base ( no deformation potential ).